Thanks for the testing guys! So in the end the lower Vf is probably why the performance is better. It simply has to deal with less heat at the same current. What die features determine Vf? In other words: if you want your LED to have low Vf, what do you do to achieve this? I only know that flip chip LEDs have a lower Vf. Presumably because the resistance of the current spreader is much lower (it replaces the bond wires). The remaining Vf is caused by the actual led junction. It is specifically for blue LEDs (red LEDs for example have a lower Vf). There are probably additional factors which I don’t know about. Also, die size is a factor. 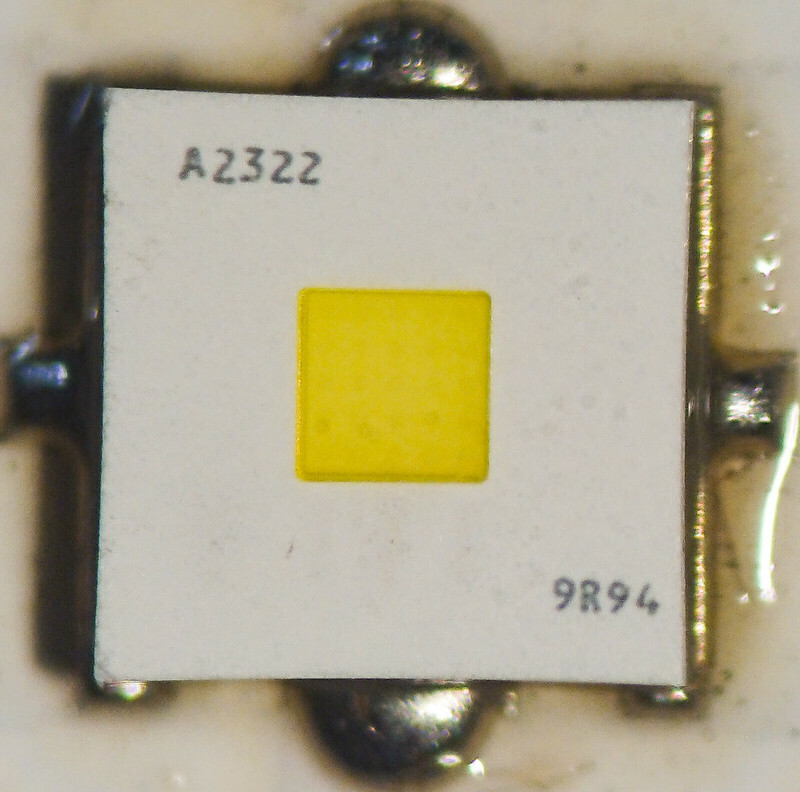 You always need to compare LEDs with the same die size (current density). That will show you that the XP-G2 is really old technology. Osram UX:3 LEDs like the ones above use vertical current spreaders (the little dots) to distribute the current more evenly. Can you set samsung price for 100? Lower VF is good not only for lower temps (and more output) but also higher efficiency and longer regulated runtime in single-cell lights. I hope that one day LEDs have a low enough Vf that they can basically run at full power until the battery is drained without the need for boost circuitry. thermal path definitely looks not optimal, I got peak at 5.75Amps. 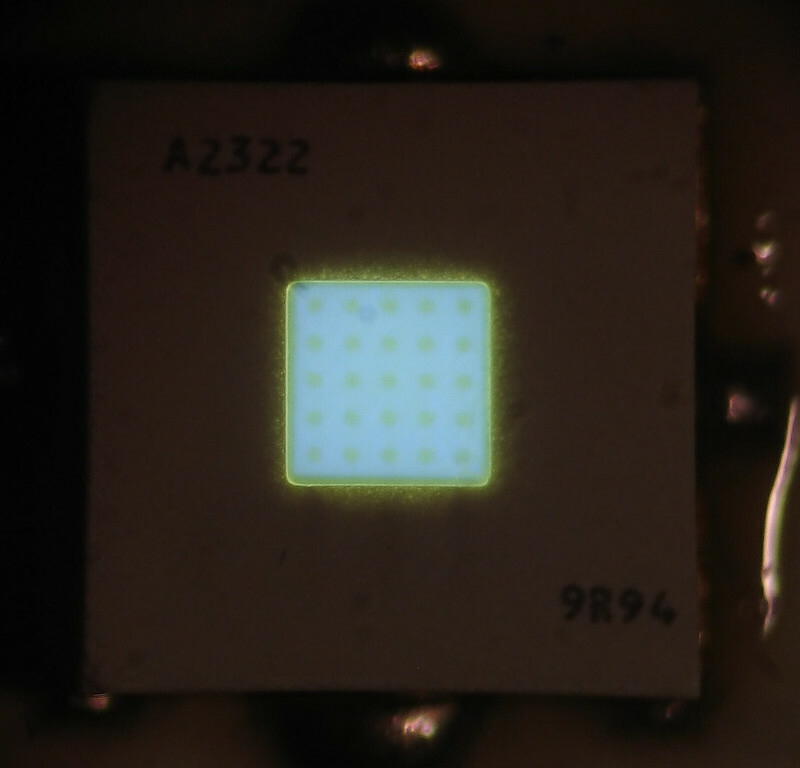 Excess solder could cause that when power density is high like with this LED. Also, I'm using lead-free solder which has a little bit better thermal conductivity. FWIW, the X6 build is indeed using the Ledil Iris, in the XP-E optimization. Crossing my fingers hoping that heatsink threads in, haha. Heatsink fit fine, all went together very well. Used the small/large combination of Blue’s springs on the tail switch board and a single small spring on the driver, 20 ga Teflon leads to the triple Noctigon. But even on a 30Q it’s “only” making 2600 lumens. Not sure why that is, will look into it some today. The Samsung’s make a huge flood of hot spot with virtually no spill, no artifacts, pretty nice triple, great for a walk or relatively close work. 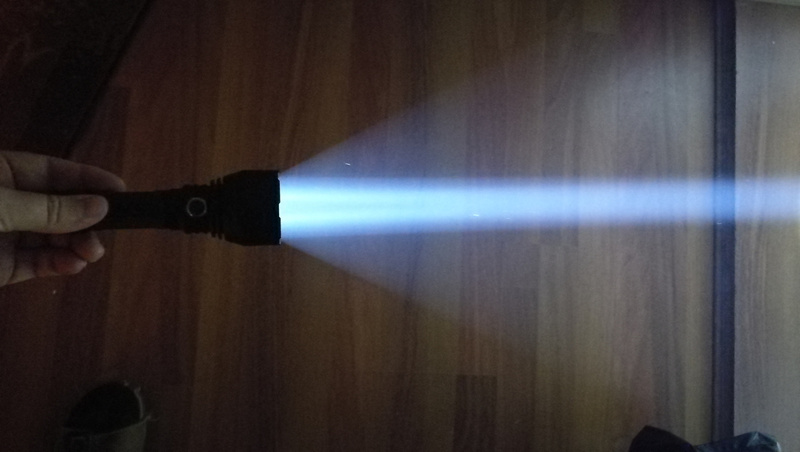 I have a blue S2+ also with Hoops pill and it’s making 3029 lumens with XP-L V3 3C emitters. So now the pair are pretty neat. Oh, FWIW, I reflow solder the triple Noctigon onto the copper sink/pill. Some years back, on my birthday, my wife and daughter gave me a T-Shirt with the text (across the front) I DO know it all! I just can’t remember it all at the same time. Is it an idea or at all possible to have centering pieces made for 3030 Oslon-sized leds like the KW CSLNM-TG? For the various reflector hole sizes around? I find centering the one major frustrating part of using 3030 leds, a fitting centerpiece would help bigtime. I have no access to or skills with 3D printers plus that I fear for the low melting point of printable plastics. I used cheap solder paste(mechanic) we mostly use here. But very little(applied with needle syringe) Also best performance somewhere at 5.8-6A I could not define correctly as other guys with better equipment. I just have uni-t clamp meter and lux meter for testing purposes. And I am definitive not getting any angry blue at even more than 7A after more then 3 minutes on samsung INR 30Q. But that maybe also depends on used rig. Mine was in dd mode with fet driver, single 18650. But I think that Djozz test also represents well how this emitter work. Some may get higher peak and some lower depends how they will reflow or cherry pick something. 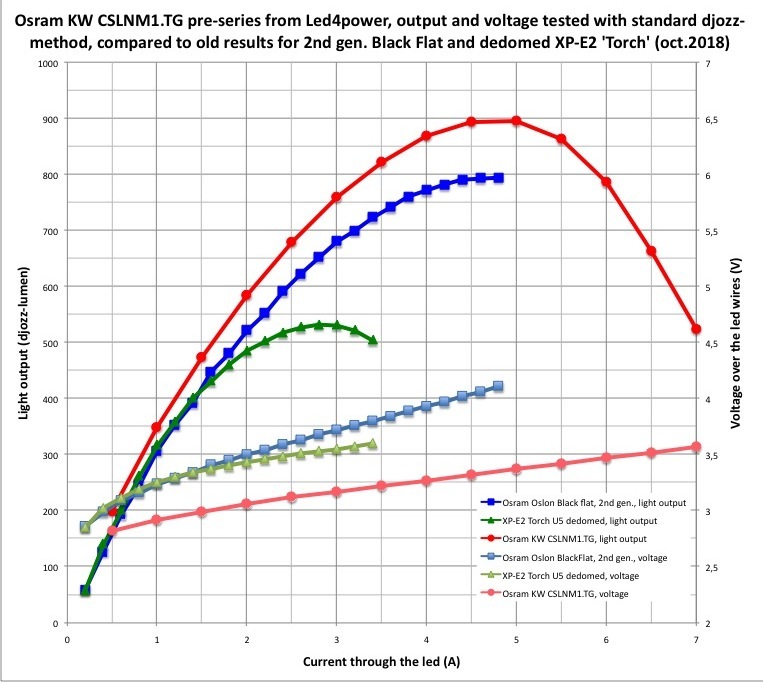 So what is the advantage of this KW CSLNM-TG emitter over the old G2? More throw, but less output? Those are cool pics for sure, I have 9 of them incoming, but what is the Max output 700lms? So are we going to call this LED the Oslon White Flat or the Ostar Projection Compact? The S8 does 573 at 3,15A. Didn’t measured the GT mini lumens. Maybe around 600-650. 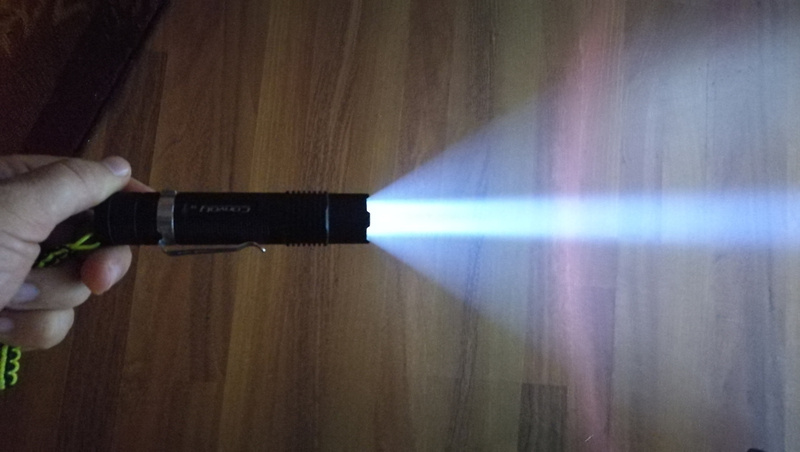 Remember Kawi, the XSword is only making 370 lumens (for over 2 hours!) but still puts light on a water tower 1.9 miles away. Don’t get to “focused” on the low lumens numbers. Wow your room has a very dense “atmosphere” for a beam to show up like that. I can’t get any of my throwers to show a beam within my house. Hey, some dishes were literally made to be burnt! I love Iranian sour stew with burnt rice! I vote for Osram White Flat.